If anyone is having a birthday in May 2010, here is an early birthday present from TVGB to you, courtesy of Remedy and Microsoft. That is considering you have an Xbox 360, are a fan of the psychological thriller genre, and put faith into rumors on the internet. If not, then enjoy National Smile Week that month. MCV has let loose the rumor that the much delayed Alan Wake is set to be released this upcoming May, living up to the Spring 2010 date that all responsible parties have been repeating ad infinitum. A source close to the game has told the UK website that Microsoft is planning on a global launch late in the month with promotion for the game to be in the same vein as a Hollywood movie. 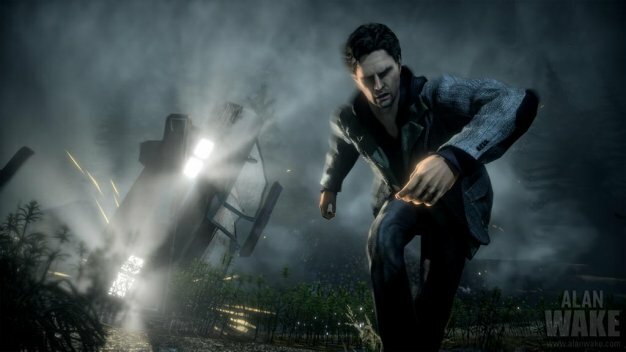 In development for five years, and the reason many initially purchased an Xbox 360, Alan Wake has been on and off gamers’ radars since its announcement at E3 2005. The psychological action thriller features an award winning writer who cannot find his wife, suffers from insomnia, and has a flashlight fetish. As with all rumors and speculation, Microsoft and Remedy do not comment on them; but you can down below. Anyone want to start a pool on if this game will actually hit the Spring release we have been promised?